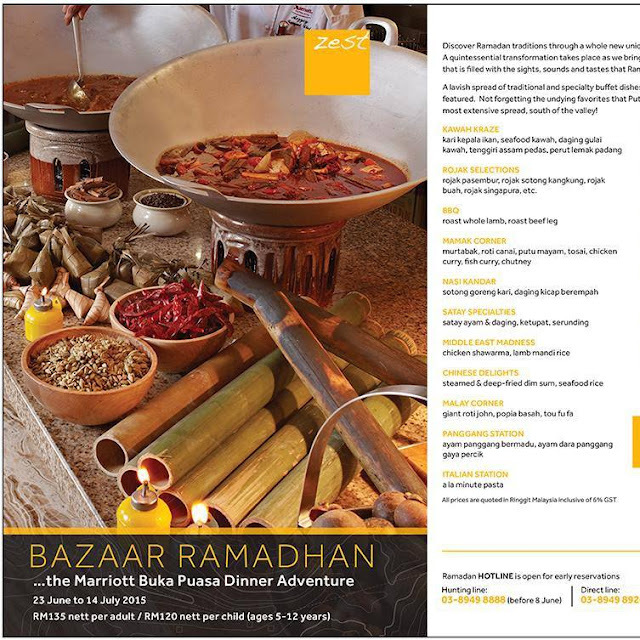 Zest (Putrajaya Marriott Hotel) is offering their Buka Puasa Dinner Adventure at RM135 nett per adult and RM120 nett per child (5 – 12 years old). Early Bird Offer: RM120 nett per adult and RM90 nett per child for bookings made before 5th June 2015. Call 03-8949 8888, 03-8949 8761 or 03-8949 8655 for reservations.